With a Suntrek solar water heating system, you can reduce your impact on the environment and save money …all this without changing your daily routine! Heating your water with a solar water heating system helps reduce tons of greenhouse emissions every year — that’s the equivalent of taking a small car off the road! Better yet, you will enjoy thousands in savings as a result of lower energy bills, rebates, and tax credits. 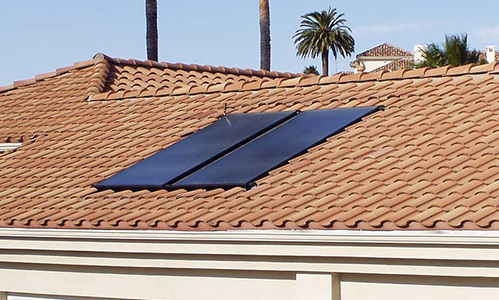 We offer a broad selection of solar water heating systems for residential, commercial, and government use. 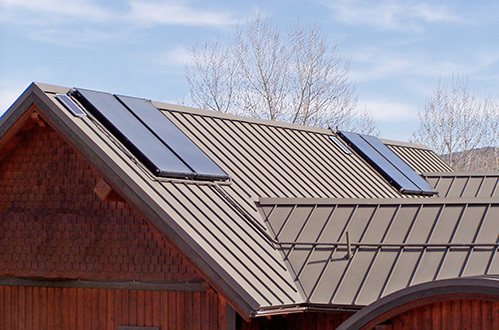 No matter how much hot water you use, how sunny your location is, or whether you are connected to the power grid, we have a solar water heating system that is right for you. Covered by at 10-year warranty, our durable solar water heating systems last an average of 30 years and require little maintenance. That means decades of energy savings and peace of mind!